« Alcoholics Anonymous: Life is not the way it’s supposed to be. It Is the way it is. …By Hank Curci, SCIFI Author. On The Way To Interstellar Oblivion.. We Saw The Great Cosmos That Gave Us Life… By Hank Curci, SCIFI Author. Recycling All Life Back In to Star Dust. Along The Way To Interstellar Oblivion. Nothing is forever, our mighty star, the sun, will die some day and beautiful little blue green Planet Earth will die along with it. 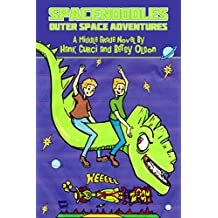 An Outer Space Middle Grade Novel For Children By Hank Curci And Betsy Olson.. This entry was posted on October 1, 2018 at 1:00 am and is filed under Science Fiction. You can follow any responses to this entry through the RSS 2.0 feed. You can leave a response, or trackback from your own site.